So you’ve just learned that you have celiac disease and need to start a gluten free diet. What else should you expect to change in your life, besides just your food? Today, I'm rounding up all the changes I’ve noticed since my celiac disease diagnosis five years ago. I have two hopes for this post: first, I hope that this makes you feel less alone if you’re struggling to accept similar lifestyle changes due to celiac disease. Second? If your friends or family don’t seem to understand why adjusting to life with celiac disease can feel so freakin’ hard sometimes, I hope this post shows them that celiac disease changes way more than just the food you put on your plate. So whether you have celiac disease or know someone who does and want a chance to “walk in their (chronically ill) shoes,” keep reading to discover 19 ways your life changes after a celiac disease diagnosis! 1. Your diet shifts...in some ways you may not expect. I might as well start with the most obvious life change: the required gluten free diet. 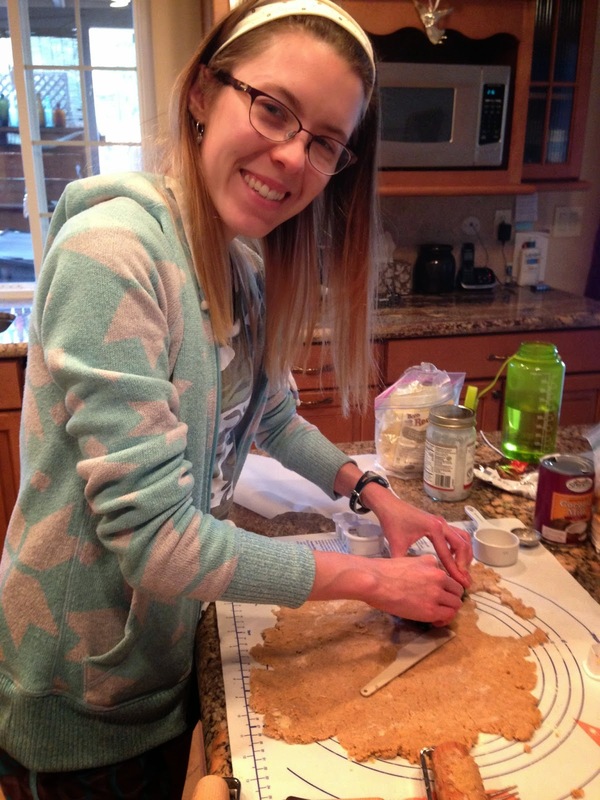 Depending on how you ate before your celiac diagnosis, going gluten free can be a big change. If you’re like me, though, you might also discover other food intolerances along the way. For instance, like many celiacs, my intestinal villi were damaged so badly that I wasn't able to tolerate dairy (and still can't in large amounts). When my stomach continued to act up even after I started a gluten free diet, I also temporarily adopted a low fodmap diet and still have certain “triggers” (like onion and garlic) that I typically avoid. All of this goes to say that going gluten free for celiac disease is much more complicated than just ditching bread. People often underestimate how many foods wheat can hide in (from soy sauce to soup) and how many other dietary changes celiacs end up needing to make as well. 2. Grocery shopping takes longer. Before I learned that I have celiac disease, grocery shopping was easy. I just grabbed whatever looked good and checked out! When you’re living with celiac disease, though, you have to spend extra time reading labels to ensure your food is gluten free and not cross contaminated. 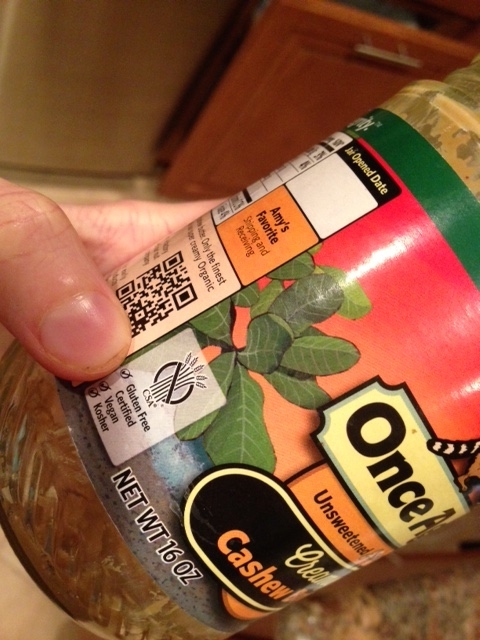 (Learn more about reading labels here). Plus, if you don’t want to spend a loooot more money on your gluten free groceries (more on that on point number 13), you’ll probably spend extra time comparing brands to find the cheapest option. I’ve certainly gotten faster at grocery shopping the longer I’ve been diagnosed, as I now know which brands are safe and delicious and what label markings to look for. However, I doubt grocery shopping will ever feel as “easy” or “worry free” as it was pre-celiac. One of the hardest changes to accept with a celiac disease diagnosis, at least for me, was the loss of spontaneity. No longer could I just walk around town and grab a bite at whatever restaurant looked good. Gluten free apps like the one I talk about here are definitely a big help in finding safe gluten free options when you’re out and about. Nowadays, though, I still call ahead or talk about the menu in more detail with restaurants that promote “gluten free” menus, as many of them are not cross contamination free or celiac safe. 4. Dating can be even trickier. Considering that I was diagnosed with celiac at age 16, I found out first-hand that romance can feel a little more complicated without wheat. Choosing a date night restaurant requires extra research, and while various celiac experts I've talked to say that being glutened from a kiss is very improbable, I've felt sick after kissing a wheat-eater before. I try to make a joke out of requesting that guys brush their teeth (or wait an hour after eating) before they kiss me, but the disclosure can make some first dates a lil' awkward. On the plus side, though...you never have to deal with kissing someone who has major garlic breath! And I've found that the people who really care about me (and therefore are real dating material anyway) don't mind the extra tooth brushing either! 5. Telling people about your dietary restrictions is a near-daily occurrence. When I’m working an office job or at school, I’m asked about my “special” food almost every time I meet someone new. After all, when you attend a pizza party and bring your own gluten free pizza, you’re probably going to raise some eyebrows. Within a few months after your diagnosis, you’ll likely have the “celiac spiel” memorized. Mine usually goes something like this: “Yep, I have celiac disease, an autoimmune disease where ingesting gluten damages my intestines. I can get sick from even a small amount of gluten, so I make my own food most of the time.” Short, sweet and beneficial to raising celiac awareness! Obviously, some people may feel more comfortable being known by this label than others. 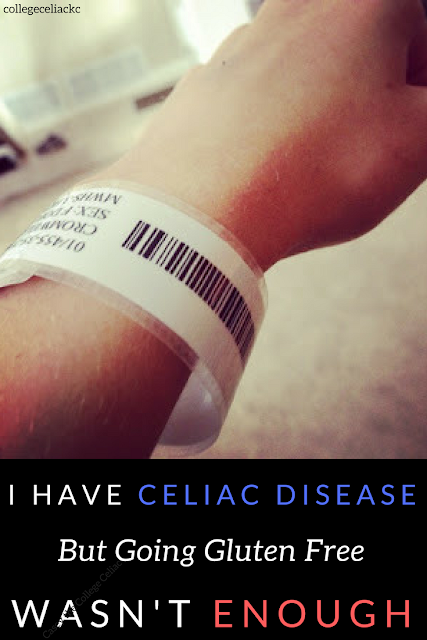 If you’re struggling to decipher how you feel about celiac disease being part of your identity, I’d recommend reading this popular post of mine. Also, remember that although some people might identify you by your diet, the people who know and love you best probably understand just how complex, multifaceted and layered your identity really is. 7. Holidays become a little more complicated. Oh, holidays. Spending time with friends and family can be super fun and relaxing, but sitting down for Thanksgiving dinner can feel a lot more challenging when you have celiac disease or food restrictions. If you are lucky enough to have friends or family who want to (and can safely) accommodate your diet, great! If not, remember that the holidays are really about the people and not the food, and eat ahead of time or bring your own gluten free dinner to enjoy along with everyone else. 8. You ask a lot of questions about your food anytime you go out to eat or receive a “gluten free” gift. Unless you’re ordering at an entirely gluten free restaurant (which are as awesome as they are rare), eating out gluten free involves a lot of talking, explaining and double checking. I typically talk to the waiter or waitress about what celiac is and the accommodations I need (fresh ingredients, clean pots and pans, etc), and I sometimes ask to speak to the manager if the waitstaff doesn’t seem educated about celiac disease. The same routine happens when I attend a potluck or a party or someone surprises me with a “gluten free” treat on my birthday. Unfortunately, because small amounts of gluten are still dangerous for people with celiac disease, even “gluten free” food isn’t safe if it’s been made with cross contaminated equipment or ingredients. Have a hard time saying “no” even when you’re pretty dang sure the food is unsafe? Read this for an empowering reminder. 9. You may experience nutritional or vitamin deficiencies. Despite the common misperception that a gluten free diet is automatically “healthier” than a diet with wheat, gluten free foods can be lower in vitamins and minerals or not as enriched as whole grain alternatives. Combined with the intestinal damage gluten likely caused before your celiac diagnosis, you may end up having several nutritional deficiencies. Personally, my doctor put me on zinc and calcium supplements after my celiac diagnosis. I also recently found out that I am low in iron, and am taking a supplement for that. Obviously, everyone with celiac disease is different and you might be 100% healthy just eating a balanced gluten free diet. If you do discover nutritional deficiencies, though, know that you aren’t alone. 10. You get way too excited over new, delicious gluten free products. When I’m grocery shopping and find a new gluten free product that I’ve previously tried and loved or have heard is ah-maz-ing, I’ve been known to: 1) jump up and down, 2) squeal, 3) buy 3-4 boxes, and 4) do all of the above. The truth is, it’s hard to ditch your old favorite foods. Even though there are tons more gluten free options nowadays, it can be equally hard to find gluten free products that you seriously love. So when we do find something great, we celebrate, as goofy as it might make us look. 11. You rarely leave the house without a snack (or entire meal) in your purse, backpack or glovebox. I never used to worry about having food on hand when I left the house. I knew I could grab a granola bar at school or visit whatever restaurant I happened to be nearby if needed. 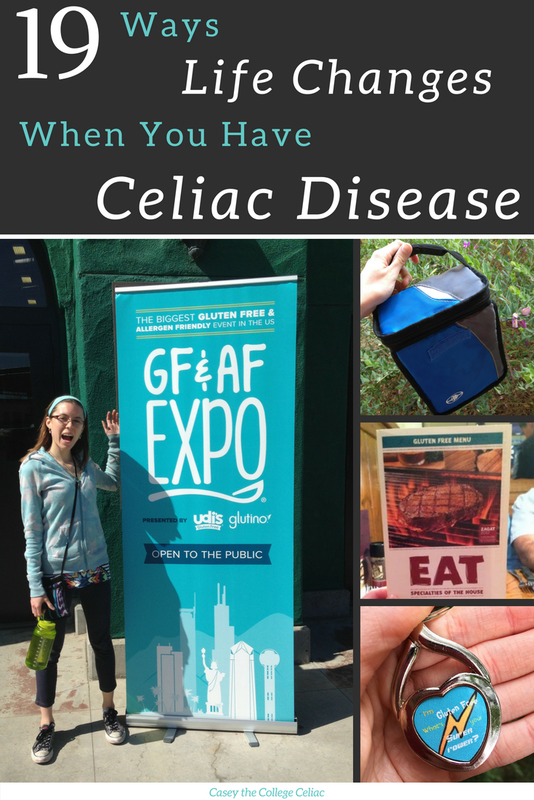 When celiac entered the picture, that all changed. Now, you might call me the walking pantry...and I’ve heard from many other celiacs that they are exactly the same way. 12. You may learn to cook...or not. If you used to live off of takeout and pre-made meals from your local grocery store, you might still be able to do that after your celiac disease diagnosis. However, because of the price of many prepacked gluten free meals, you’ll probably end up learning how to cook at least simple things like stuffed baked potatoes, some kind of (vegan or otherwise) protein, roasted veggies and a side salad. 13. You need extra time for food prep and (likely) extra money for your groceries. If you do end up cooking most of your food, though, you will be giving up one thing: time. As anyone who practices food prep knows, cooking can be time-consuming, even if you set aside a single day of the week to do it all. Plus, like I’ve already mentioned, gluten free products are often more expensive than their gluten-filled counterparts. So while your old go-to lunch might’ve been two slices of pizza for $6 at your work cafeteria, your new lunch might call for more expensive gluten free pizza crust and toppings, as well as the time to cook your own pie. But all hope (or free time and money) is not lost! 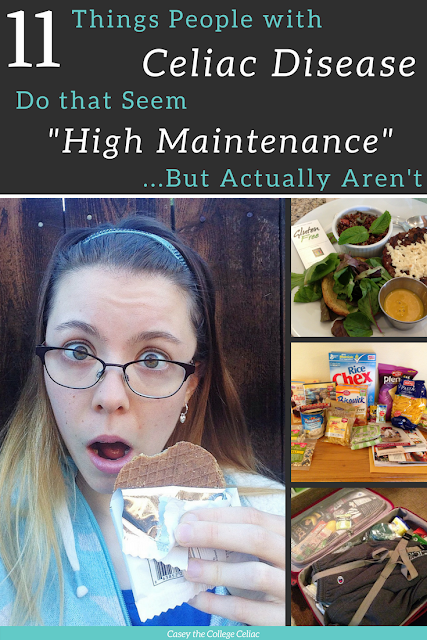 Check out my post about how to eat healthy as a busy college student for time-management cooking tips! 14. Other members of your family may be tested and diagnosed with celiac disease. Celiac disease is hereditary and after you’ve been diagnosed, your doctor might encourage the rest of your family to be tested for celiac disease as well. I’ve heard of families who refuse, and that’s certainly their right. Personally, my family was tested and we found that my dad carries the celiac gene, though it’s never been activated. The good part about this is that your diagnosis might end up transforming - and even saving - a family member’s life if they have active but undiagnosed celiac disease. Plus, family members who carry the gene now know that they should watch out for symptoms in case their celiac disease does become active. 15. You sometimes feel isolated, misunderstood or frustrated because of your “special” diet. I’d be lying if I didn’t include this bullet point in a post about how your life changes when you have celiac disease. The truth is, food is more of a social, connective component in life than I ever realized before my celiac diagnosis. As a result, you might feel unfairly isolated when you can’t join in on midnight burrito runs or pizza parties without having to bring your own food or go hungry. As I’ve shared before, you may even grieve the loss of old foods and spontaneity. I’ve cried over not being able to eat a flour tortilla...and even five years after my diagnosis, I still have days where I hate the limitations I have because of celiac disease. 16. Accidentally ingesting gluten can cause you to feel “glutened” and be trapped in bed, on the toilet, etc. Perhaps the biggest - and hardest - change to accept after a celiac diagnosis is that you can really be hurt by a common food ingredient. I learned at the Gluten Free Teen Summit from Dr. Peter Green that many celiacs don't experience major symptoms if they accidentally ingest a small amount of gluten. However, other celiacs definitely do have a wide variety of "glutened" side effects. Personally, my biggest glutened symptoms used to be extreme fatigue and brain fog a few days post-exposure. Now I often get extreme stomach cramps and other not-so-fun stomach issues on top of those. On the one hand, it can feel disempowering to know that you can be wiped out by accidentally consuming gluten. On the other hand, I try to remind myself that I’m lucky to be able to avoid negative symptoms of celiac disease by avoiding gluten in my diet. 17. You learn which friends and family are willing to accommodate your dietary needs, and be extra grateful for them. Like the old saying goes: “Those who matter won’t care...and those who care don’t matter.” I’ve been constantly amazed at how much my close friends and family will do to ensure that I’m safe and comfortable when eating over at their houses, sharing a kitchen, etc. Even if I don’t accept peoples’ offers to cook me gluten free meals, it means the world to hear that they care enough to want to try. Depending on how your family and friends react to your celiac diagnosis, you might find that your gluten free diet actually brings you closer to certain people in your life. 18. You experiment with new foods and gluten free recipes...and find some that you like, and some you really don’t. There’s no better motivation to learn how to cook than realizing you can feel 100% confident in the safety of your meals if you make them yourself! It can be frustrating to try and find new gluten free products and recipes that taste as good as old favorites, but it’s so rewarding to make something that has even the gluten-eaters in your family eating! I’ve personally found that going gluten free for celiac disease also motivated me to try more naturally gluten free foods I’d never tasted before, like dragon fruit, buckwheat and dates. If you’re craving a pick-me-up blog post that proves your diet can seriously be super delicious even without gluten, read here about why my diet is more diverse now that I am gluten free! 19. Your life feels harder at times...but you’ll learn to love having some direct control over your health. Especially in the first few months after your celiac disease diagnosis, you’ll probably feel frustrated over your new dietary restrictions. If you have celiac disease and your body doesn’t heal normally on a gluten free diet, like mine didn’t, the adjustment period can feel even harder. Even five years later, I give myself permission to feel jealous when friends can enjoy the free donuts at work or cry because I’ve been glutened and feel like rubbish. However, I also constantly try to focus on the positive ways my celiac disease diagnosis has changed my life. It forced me to learn how to cook and discover that I’m actually a huge foodie. It taught me how to persevere and believe in myself, even when every day felt like a battle against my body. And, of course, it caused me to start this blog and connect with people all over the world...including you! When you initially receive your celiac diagnosis, you might expect that starting a gluten free diet will be the only big change in your life. As this post (and many of my past posts) have shown, however, celiac disease complicates much more than just your diet. It often impacts everything from your monthly grocery bill to your socializing routine. Like this post? Tweet me some love by clicking here: "The truth is, a #celiac diagnosis changes WAY more than just your diet. Today, I'm rounding up 19 ways life changes when you have #celiacdisease, from shopping for #glutenfreefood to dating! Read them all here --> http://bit.ly/2uuQnPb"
The biggest thing to remember? While you should stay realistic about the challenges of living with a chronic illness, you should also keep in mind that you can control your diet, your attitude and your health with celiac disease! What’s the biggest lifestyle change you’ve noticed since your celiac disease diagnosis or since having to go gluten free for another reason? Tell me in the comments!